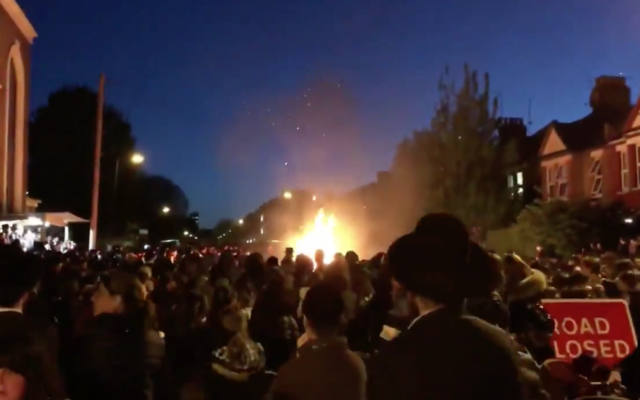 An Orthodox umbrella group in Stamford Hill displayed a “shocking disregard for public safety” by having an unauthorised bonfire in the middle of a road at night, Hackney Council has said. 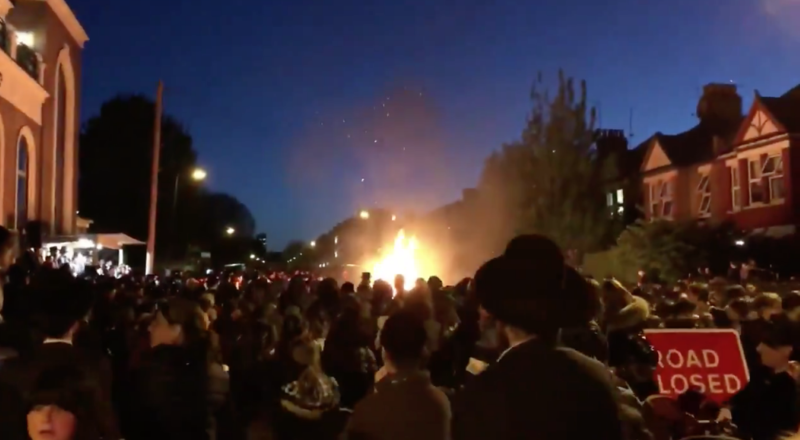 The Jewish Community Council (JCC) was berated in unusually strident and public criticism by the council this week, after the fire marking the Jewish festival of Lag BaOmer exploded shortly after being lit, sending several people to hospital. In a statement from Kim Wright, group director of neighbourhoods and housing, the council accused the JCC of “misleading” authorities, adding that it was only for reasons of luck that someone was not more seriously injured. “The JCC applied to Hackney Council for permission to close the street for a commemoration event outside a synagogue,” said Wright. The council said they were still investigating the incident and taking legal advice, and would not in the meantime allow “any event or road closure request from the JCC or any of its related organisations and individuals”. Speaking to Jewish News this week, JCC founder and director Levi Shapiro hit back, saying the application had instead been made under the name of Biala (the nearby shul), not the JCC”.